Based on the hilarious obstacle from the show Wipeout, this course will be a challenge and great entertainment for everyone! 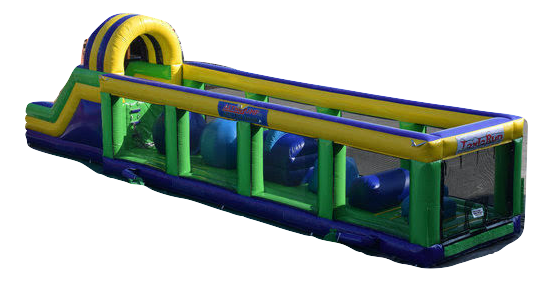 Run through the obstacles and leap from ball to ball before climbing up and sliding to the finish line. Use it on its own or connect it to any of our Radical Run pieces to add an extra challenge at the the end of a larger course.